We offer a full book and e-book showing how to create an automatically updating Excel calendar in our Excel 2016 Construction Kit #1: Calendar and Year Planner Books and E-books. The Construction Kit course teaches you everything you need to know to create this fully-featured calendar and year planner in Excel, taking you through the whole process of creating it step by step. If you need to create a system of this kind you would greatly benefit from the Construction Kit Books and E-Books. 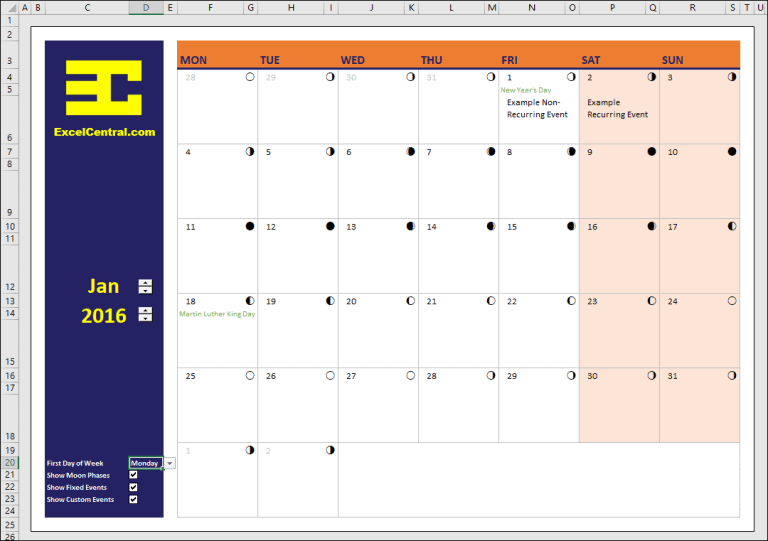 Creating a basic calendar is easy if you understand Excel’s system of Date Serial Numbers. These are explained in depth in our Excel Essential Skills Books and E-books. Displaying events in the calendar can be done using the VLOOKUP function, which is covered in our Excel Expert Skills Books and E-books. You can download a basic example here. 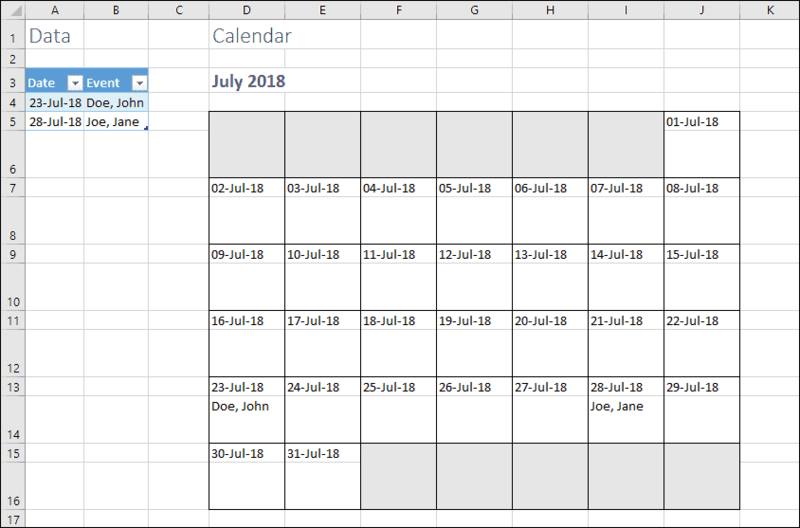 For more advanced calendars you might find the Excel 2016 Construction Kit #1: Calendar and Year Planner Books and E-books useful, but you could also find that Pivot tables offer an easier way to summarize by date. Pivot tables are covered in depth in our Expert Skills Books and E-books.